I hope you got my card that I sent off, there were some pictures in it along with my memory card. 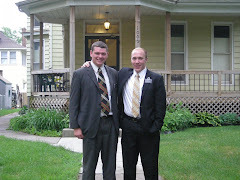 I forgot to write on the pictures , but they were of Elder Wilson and I on our last days together. We had a couple of Gnar-be-ques! (that is gnarly and BBQ put together) The first one is when we did it on our roof, it was a trial gnar-be-que because we had to fix the grill that we had, then test it if it would work. 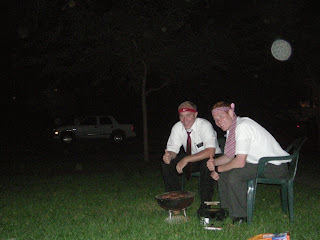 The second one is the one at night that we did, it was much more successful because we had on head bands. The corn pics were to give you a idea of how ridiculously tall the corn was. Well my computer just froze and deleted most of my e-mail so I don't have much time to write because the library only gives us an hour. So I'll try to sum up my week real quick. Elder Zwick of the Seventy came and toured the mission. We had a mission conference on Wednesday in Des Moines. It was a spiritual feast, he made a promise to the mission that we can triple our baptisms if we as a mission change a few of our efforts. This week, the tri-fecta that I am a part of is rocking. We have been doing a lot of finding with the recent baptisms, and now we have a very small teaching pool. So most of our days are spent tracting. In this area there are a lot of less active so we have been very focused on them to get them active and getting into part-members homes. Sorry this is so short, but I'm running out of time. The message line on today's e-mail: Elder Hale is the biggest slacker in the world for not sending his birthday card to his mother yet, I have no excuse and am breaking a commandment of the Lord by not honoring thy father and especially thy Mother!!! Mom, your card will be sent off today. Many apologies go out to the Phoenix metropolitan area for the grief that has conspired due to a mourning mother as a direct cause and effect of a son, who in any respect is not worthy to be writing this letter, did not do as James directs in chapter 2 verse 16-17 (please check that, I don't have my scriptures right now, but it is in chapter 2) I believe as to show my faith by my works in sending a card to my most beloved mother who in great respect gave me this tabernacle of clay that I am now in. In consequence I am breaking a commandment to the Lord as to honor the greatest mother who labored 9 months carrying me, and then another 20 years or so until I got my act together. Wo unto this man who is so slow to remember this mother on the most glorious day of her birth, but is quick to not remember how many of these days of birth she has experienced. I ask for your forgiveness, sorry mom. Well if you're are still reading this and still love me I am glad to report a wonderful week here in the Ft. Dodge area. Saturday was the ward temple day and all three of us were able to go through the Winter Quarters Temple. Bishop also took us to the visitors center and that place rang a couple of bells. Once we pulled into the parking lot I remembered when all of us as a family went there and the cemetery across the street. 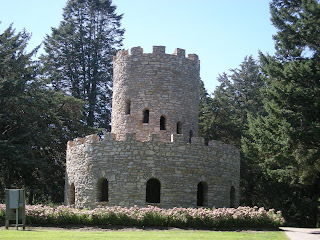 We were given a tour of the place and I remembered some of the things in the Visitors center. It really hit home. I am so glad that you took us through all of the church sites when we were young. It really made a deep impression on me, and when we walked through the Visitors center again it deepened my testimony of the Prophet Joseph Smith and all of the Saints that knew that they had found The Church of Jesus Christ once again restored in the latter-days. I thank you for your efforts and guidance when I was a youth. That is the only reason I have a testimony today is because of your example, your efforts did not go in vain. We had 2 baptisms on Sunday. Elder Johnson baptized L and I was chosen (by a game of "bubble gum bubble gum on a stick, how many pieces do you wish? ", by T . . . she's 9 years old) to baptize her. It was amazing to see both of them baptized into Christ's fold. Being the District leader has been interesting thus far, I get some creative questions. Last night the Sisters in our district called me to ask what they should do because they had found a $10 bill on the ground. It just keeps the plot thick. We had district meeting for the first time on Thursday. I have to teach the District weekly on certain topics, but I think it went pretty well, at least every one said that they learned something. Oh, this Wednesday we are having a Mission Tour and a seventy is coming to speak to us! 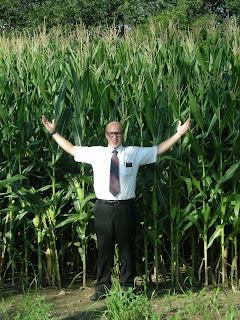 Elder Zwick of the Seventy is coming and I am so excited to learn from him. I'll let you know how it goes. Thank you guys for the cards and the packages, 22 in the mission field means I'm an old man, but I think that I am still filled with youthful splendor. This apartment is sweet. It at least twice the size of my last one, but I guess that's good since I'm in a tri-companionship. There is a ward here, but it has just as many members as the branch in Clinton. The bishop was the one that drove us from Iowa City, where we had transfer meeting, to here Ft. Dodge. 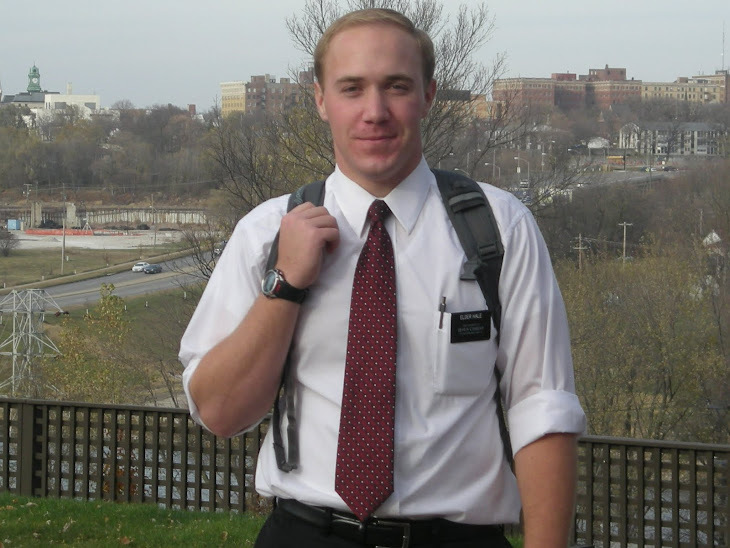 He's a great guy, and is really involved in the missionary work. Our area is huge to say the least. It goes about an hour and a half to our north and about 1 hour east, west and south of where we are at presently in Ft. Dodge. It's a little of a challenge getting to all the surrounding areas, but it will all work out. Thank you guys so much for the birthday presents. It was awesome. Melanie, I have to say that your card put a smile on my face. I got right out of bed Sunday morning and wandered over to my box. I went through all the cards first in a groggy state until I got to yours. It was cool, it made me dance a little bit, some fist pumps or something like that. But I have to let you know I took out the little singing device and put it into my planner so every time I open it up, it starts singing MACHO MACHO MAN!! It was way cool. I'm still trying to get to know all the members and how everything is run here. 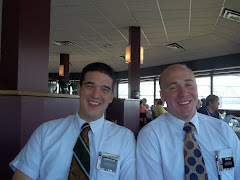 My two companions, Elder Johnson and Elder Noel are the ones now in the tri-fecta with me. Elder Johnson is the one who was in this area last transfer and is doing a good job at getting all of us up to speed. This Sunday there are 2 baptisms scheduled here. Their names are L and T. We have had a lesson with L. the first day we arrived here. She is awesome and is on track, but her husband it giving her a hard time about it so we are worried and praying about it. T is a 9 year old girl who is also being baptized. I met her yesterday at church, but tonight we are teaching her the last few things for baptism. Keep them in your prayers. I am going to write you guys a couple of letters today, and Roxanne I got you letter finally, no worries. p.s. Please tell grandma that I got her e-mail and give her the new address. p.s. Mother there might be some people from Clinton that friended me on facebook. If you can accept them, that would be awesome. Thank you. So, you are wondering what is happening to me with transfers going down this week. Well, I want to first start out and tell you that I have received your package (the birthday package). And Roxanne I did receive your package of pictures, but I have not yet received the letter you were talking about. Maybe it will come today. Oh, the other boxes you sent me from the distribution center, I have opened, just letting you know. I totally opened them and thank you for the stuff, it was the best gift you could get a missionary, I promise. But the package that said do not open until your birthday, and that card that said do not open until your birthday I have not yet opened even though there was a tempting spirit telling me to open them (Elder Wilson). So I am looking forward to it. As for transfers, I am leaving this area, as well as getting a couple of assignments. 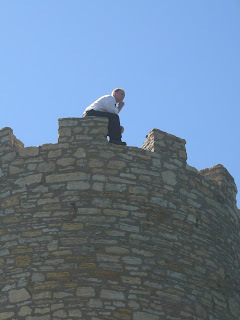 I am going to Fort Dodge and am leaving tomorrow morning. I will be in a tri-companionship, which is new. One of my companions is a new guy and I will be his breaker (his second companion) but I don't know who he is yet. But my other companion I do know because he used to be here in my district when I first got to Clinton. I am also the district leader as well. It's going to be fun. There is a ward in Ft. Dodge, but rumor has it that it is the coldest spot in the whole mission. I'm excited but bummed to leave at the same time. Last night we had a lesson with LB (who if I have not told you much about him, just remember this, HE IS THE MAN) on faith, and read a big portion of Alma 32 and talked about the seed that he has planted in his heart and now he needs to keep nourishing the tree that has begun to grow. He told us that he was upset that we wouldn't get to see his baptism. So I told him that I wouldn't be there but that is not what is important, it is that you have planted a seed and now you needed to nourish it, no matter what happens. I told him about a tradition that missionaries have with new converts at baptism, and that is the missionaries give them a tie of theirs and sign it. So I gave him a tie and signed it, even though I would not be present at his baptism. He was so excited, and is so solid about his baptism. Elder Wilson will hopefully see the fruits of our work here. We have another investigator this week that we have only met with 2 times that invited us over for dinner. Her name is L, she had us over for pizza on Friday with her husband P. She has all sorts of questions for us, some easy, but others very hard to answer. We can never seem to stay on our planned lesson topic because of all the question that she has. But for her to invite us over for dinner and talk just after 2 appointments means that she surely trusts us which is the key. We may not get very far in our lesson that we plan but for that trust to grow is awesome. She is definitely "looking" for something, but we are not sure what yet. She left us with a paper of questions after our last appointment so that is a great start. Clinton has taught me many things and Ft. Dodge sounds just as great. Brady: I just sent to to you guys, did you get it? Mom: Oh - your letter popped up just as I pressed " send"! Brady: How are things going mother, this is a first you are on when I am on!! Mom: Oh my gosh - just read your letter. Now I've got to get on line and see where Ft Dodge is. And district leader??? That is awesome! You are really taking on a lot of leadership. Your mission president really trusts you. Mom: This is kind of like instant messaging. Do you have a lot of packing to do today? Have you collected a lot of stuff since you first arrived in Clinton? How do you get to Ft. Dodge? Can you fit your bike in the car to take with you? Brady: Well I found out that I was leaving on Saturday night so I have been packing every night little by little and I have aquired a lot of "stuff" here. Bro. Tingley is taking me to Iowa city for transfer meeting then somehow there will be a ride for me to Ft. Dodge. I will be taking my bike with me, I hope there is room. On the way to Iowa city, Bro. Tingley and I are going to stop at the world's largest truck stop for breakfast so I'm going to pick us something for dad while I'm there, there is a lot of tractor stuff. Mom: Hey - be sure to send us your mailing address as soon as you know it. We'd hate for you to go 3 weeks without mail. Brady: I will know my address next Monday when I e-mail you. Mom: Perfect - I got an e-mail from the mission office this week with a map of the new boundaries of the Iowa Des Moines Mission. It was interesting to see. Maybe you'll have a chance to serve in Illinois sometime during your mission after all. It's good that the Nauvoo temple is still in your mission, although I'm guessing quite a bit farther from Ft Dodge. 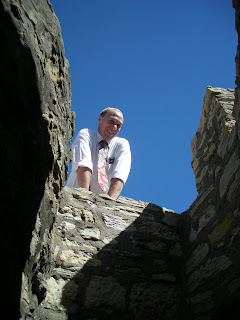 Brady: Yeah, Nauvoo is in my mission still. But the Library lady is kicking me off the computer , but know that I love you.